Temperature measurement is an essential component of every diagnostic exam. Welch Allyn's SureTemp® Plus 690 thermometer, an easy to use device with intuitive operation, provides more reliable readings with improved accuracy. It takes approximately 4-to-6 second oral temperatures, 10-second axillary and rectal temperatures and 15-second adult axillary temperatures; the variety of testing sites increases its versatility and usefulness. It features color-coded removable probe and well kits and other accessories to reduce the risk of cross-contamination. 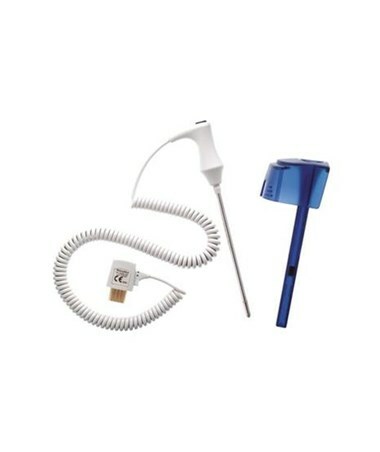 The oral/axillary probe and well kit is blue to eliminate confusion with the red rectal probe and well (sold separately). You can easily purchase this product online in minutes; just customize according to the directions below and click "add to cart" for worry-free ordering! 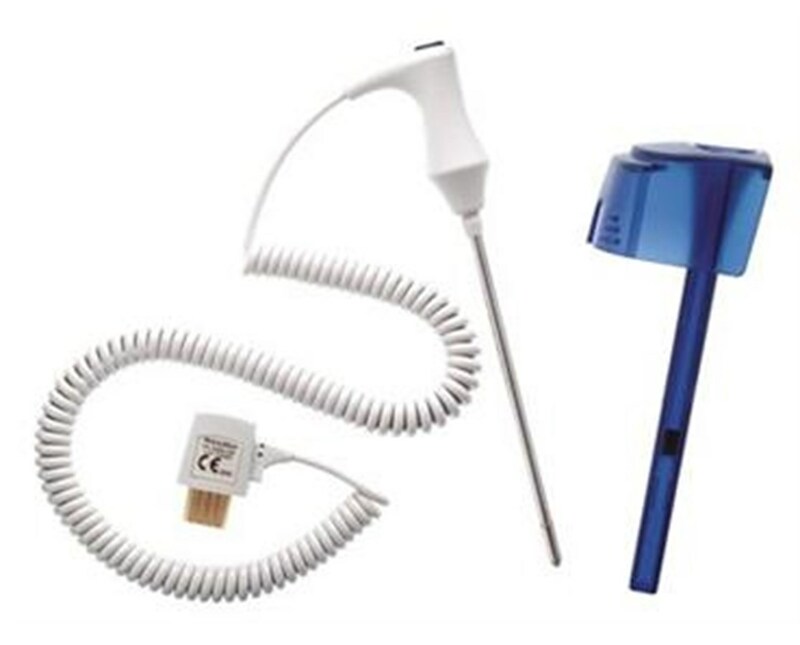 The probe and well kit is available with a 4' or 9' cord to suit every user's needs. Select a cord length from the drop-down menu in the upper right corner of this page.